Banker turned author Krishan Partap Singh tries his hand at an under-served genre for Indian writers writing fiction in English – the political thriller – and comes up with interesting results. Buy both together and save 35% !! It’s only in recent years that new generation Indian authors have attempted to go beyond the melancholy NRI stories but the political thriller has remained out of bounds (the last notable effort was Aniruddha Bahal’s bunker 13 which went on to become famous for other reasons). 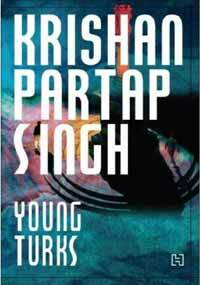 Krishan Partap Singh not only makes a valiant entry but also enlarges the scope and vision with a trilogy – there’s no let-me-try-and-see-what-happens here. The first book in the Raisina Series trilogy is Young Turks and Singh is clearly inspired by Jeffrey Archer’s Kane and Abel. Two young turks Azim Khan and Karan Nehru (with a weak link to the other Nehru clan) are school mates and friends. The book traces their early years and growing interactions till both enter India’s political theatre with differing perspectives. A quirk of fate pits them against each other in the Hindi heartland and as their popularity and clout grows, so does the distance. Surprisingly, in the second book of the series Delhi Durbar, Nehru and Khan play supporting roles and the key protagonist is Jasjit Singh Sidhu who is forced to return to India and take over the family business after the death if his father in a freak accident. The family business is power broking in the hallowed circles of North and South blocks and Sidhu gets involved in a high stakes power game involving the Prime Minister on one side and an army general who becomes the President on the other hand. The President, who is also Sidhu father-in-law is bent on declaring martial law in the country and the fast evolving games from both sides of the fence puts Sidhu right in the middle of a national conspiracy. While the plot is sometimes over the top, Singh clearly uses the tools of exaggeration to make his points regarding democracy and army rule. The third and last book in the series apparently brings back Karan Nehru and Azim Khan to the forefront and going by the first two books, we certainly look forward to the last installment. 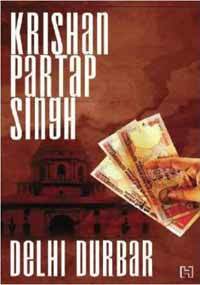 Krishan Partap Singh has a simple narrative style and successfully passes a stern test – the background introduction of characters in an action thriller is mostly of dull prose but Singh manages this quite well like a Frederick Forsyth or Jeffrey Archer, one can see the hand of a deft editor here. However, the same editing perhaps robs the opportunity to develop a strong character in Jasjit Singh Sidhu, sometimes the pace of the action makes Sidhu come across as too simplistic, which does not merge well with his overall approach. And yes, there is no need to read Young Turks before Delhi Durbar, both are self contained novels. Overall, the series is skillfully executed and well worth a read. Buy Young Turks or Delhi Durbar and save 20% now.